Raku Ho'olaule'a 2014 campout and exhibit have ended, and planning is underway for 2015. It stormed all weekend, but the campers persevered and fired dozens of pieces! Please download and read the prospectus for detailed information, including the calendar of events, rules and regulations, and Camp Mokuleia terms and conditions. Registration form is included in the prospectus, and can be printed, filled out, and mailed in with payment, or you may register online. Raku Ho`olaule`a is an annual community Raku ceramics workshop, firing and camp out in a beach side setting at one of Oahu’s beautiful beach parks. 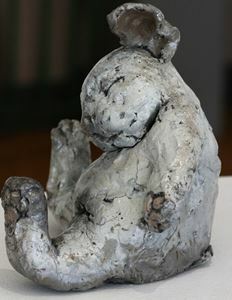 It brings together ceramic artists to participate in raku and pit firing techniques. 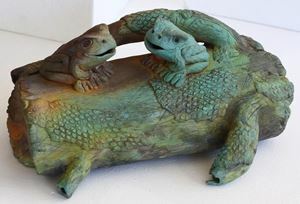 The weekend event is preceded by an Urasenke tea bowl demonstration and workshop, a slide lecture and wet clay demonstration by a guest artist, usually a nationally known ceramist brought to Hawai‘i for the event. 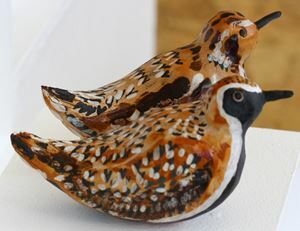 Objects glazed and fired at the beach are eligible for the exhibition, juried by the guest artist, at The ARTS at Marks Garage. 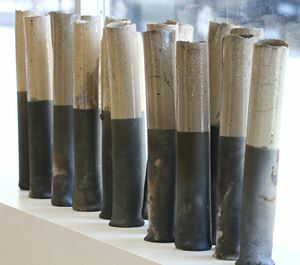 Opening Reception for this Exhibition includes a Tea Ceremony demonstration and Silent Auction. Registrants organize in firing groups who can camp overnight, making this event a rare opportunity to retreat with fellow artists and their families. 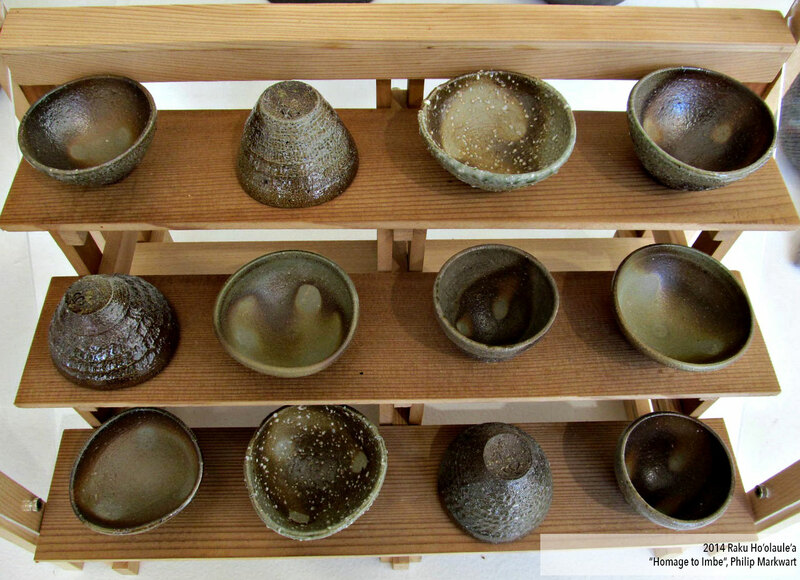 On Community Kiln Day, the public can glaze a tea bowl and watch a Hawai`i Craftsmen volunteer fire it. 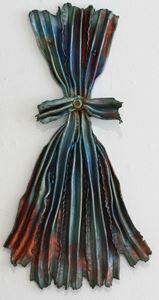 Hawai`i Craftsmen's membership includes a large number of ceramic and raku artists. 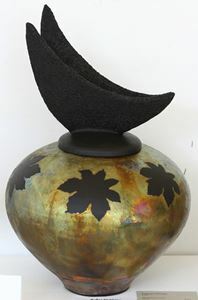 The Raku Ho`olaule`a is a chance to mingle with fellow raku clay people for a weekend of sharing and collaboration in a relaxed, non-competitive beach setting. As many as 150 artists, including many from other countries (Japan, Australia, New Zealand, France), have taken this opportunity to be with a well-known master who will teaches and demonstrates. The worldwide Urasenke Foundation, founded in Kyoto, Japan in 1949, is dedicated to Chado, the Way of the Tea and the four Zen principles of Wa, Kei, Sei and Jaku - Harmony, Respect, Purity and Tranquility. The Ideograph “raku”, freely translated, means enjoyment, contentment, pleasure and happiness. It has its roots in the 400-year-old Zen tea ceremony of Japan. 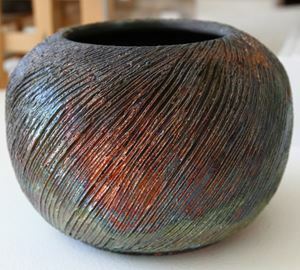 The original Japanese pieces of raku were tea bowls and the raku potters worked exclusively to produce vessels for the tea ceremony. 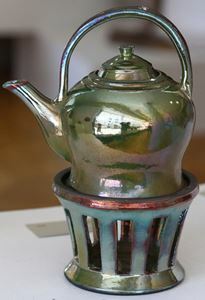 A raku pot was seen as an object created according to the laws of nature, hence raku evolved as it did because of the preferences of the tea masters for natural things. Membership and program fees support Hawai’i Craftsmen. This event is partially funded by the State Foundation on Culture and the Arts and G. N. Wilcox Trust, the McInerny Foundation. Mahalo to the City and County Parks and Recreation Department for the coordination and use of the Park. Workshop space is made available through the generosity of the University of Hawai‘i Manoa. Mahalo also to the East West Center Tea House and the Urasenke Foundation for the tea bowl demonstrations and jurying of the traditional category.